A sporting event which raises money for Cardiac Risk in the Young (CRY) is being backed by Ferryspeed for the second consecutive year. We may not be donning our football boots but we have sponsored this worthwhile charity by placing an advert in the match day programme. 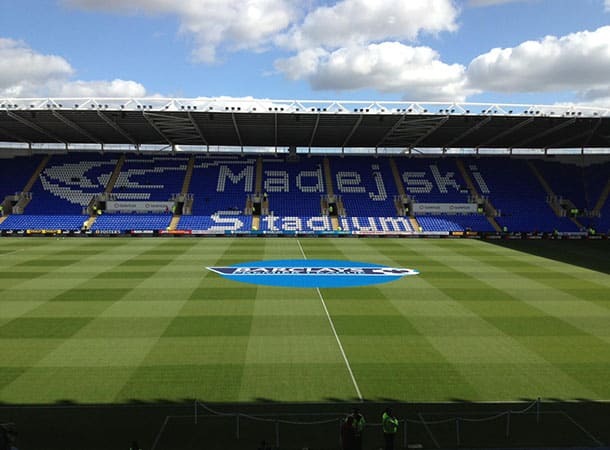 On 31st May at Madejski Stadium in Reading, four 11-a-side teams will battle it out to become the winner in two matches. The stadium will also open its doors to several hundred spectators, each paying a donation on the door of £2 and receiving a free programme. Steve Reading of the Holman Reading Partnership llp, which has a long-term reciprocal relationships with Ferryspeed, lost his son Ed eight years ago while playing football. Ed’s brother Sean set up a five-a-side league in his memory, called Edstreme, which began life with six teams. There are now 24 seven-a-side teams which meet every Thursday night.The charity pitch day has been partly organised by Sean and but largely by his friend Phil George, and follows hot on the heels of last year’s successful event at Fratton Park which raised £3,750. This year looks set to raise around £5,000. Keen players have been bidding for positions ebay-style through Facebook and YouTube. Companies have also been able to bid for team names and have their logo and branding featured on the teams’ kit. The first match kicks off at 12.30pm between Helyer Davies Architects and Holman Reading Partnership. The second match is at 3pm and is between Portsmouth Historic Dockyard and HASAG, a charity which supports asbestos disease sufferers across the south. Dean Sotnick, Ferryspeed’s Sales and Group Director said, “We’re delighted to be supporting Steve and Sean once again as they fundraise for such a good charity. “Holman Reading is based on the same site as Ferryspeed and we’ve worked together in the past, so we’re happy to donate to CRY and back Steve and Sean in all their hard work,” added Dean. CRY is a charity which works to reduce the frequency of young sudden cardiac death (YSCD). It supports young people diagnosed with potentially life-threatening cardiac conditions and offers bereavement support to families affected by YSCD. Sean, who has raised over £12,000 for CRY through football, said, “Ferryspeed have been extremely kind and as one of our longest-running sponsors, we’re very grateful for their support. “This year’s event is progressing fantastically and we’ve already eclipsed the amount raised last year, thanks to the support of companies like Ferryspeed,” said Sean.